This waterproof case is perfect for keeping your mouth guard safe between practices, bouts, games, wherever you might need it! It can also be used as a retainer case. You can choose between two closures- coordinating snaps or zipper. 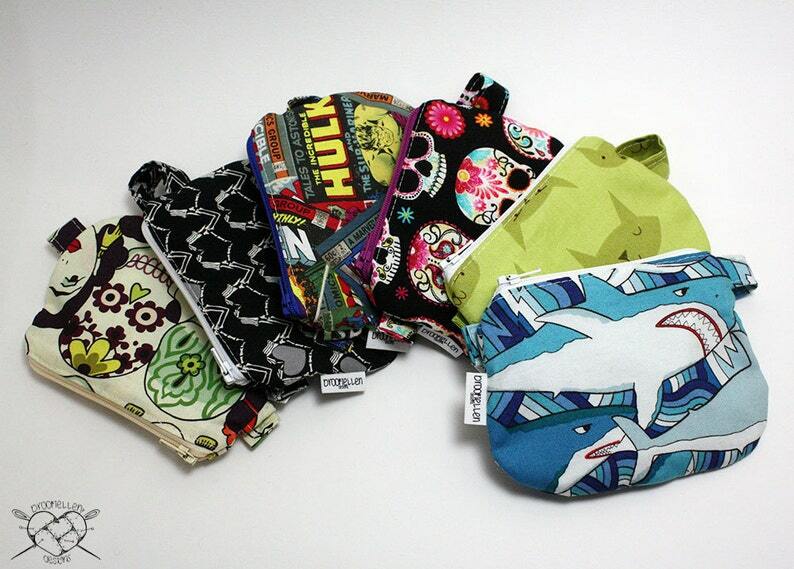 The lining is made of wipeable, washable, food-safe Procare, and the outer is a 100% cotton print. It also has a snapping strap so you can attach it to your gear bag. This item is made to order. Please allow 5-7 days to ship. If you need a rush, please send me a convo! Not only did she custom order the fabric for me, but it was made and delivered extremely fast! The quality is excellent, and I would 10/10 reccomend to anyone looking for a mouthguard case, or purchase again! Though it definitely seems made to last, so I wouldnt expect to have to replace it anytime soon. This pouch is very well made and professional looking. It’s so much better than toting my guard around in a ziplock bag. Thank you! I LOVE them! My kiddo does too!